It's the simple things that matter. Like our quality chicken breast, cooked in a seasoned tempura coating. 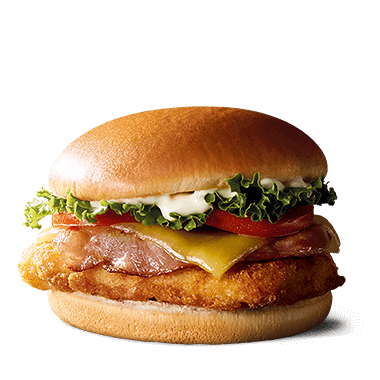 Topped with fresh, Australian-grown lettuce and our exceptional McChicken sauce, between a sesame seed bun, it's hard to beat a classic. McCHICKEN PATTY: Chicken, Water, Flour (Wheat, Maize, Soy), Vegetable Oil (Canola), Salt, Thickeners (1401, 1400, 1420, 1422), Starch (Wheat, Maize), Mineral Salts (508, 450, 451, 500, 541), Yeast, Maltodextrin, Vegetable Powder (Garlic, Onion, Celery), Yeast Extracts, Spice (Pepper), Spice Extracts, Dextrose, Herb, Flavour, Raising Agent (341), Emulsifiers (481, 433, 471, 472e), Vitamin (Thiamin), Antioxidants (320, 310), Acidity Regulator (330), Colour (100, 160c). QUARTER BUN: Wheat Flour (Contains Vitamins (Thiamin, Folic Acid)), Water, Sugar, Canola Oil, Sesame Seeds, Iodised Salt, WheatGluten, Yeast, Improver (Soy Flour, Emulsifier (481), Mineral Salt (170), Antioxidant (300), Acidity Regulator (516), Wheat Malt Flour, Enzymes (1100 - contains Wheat), Preservative (282), Emulsifier (471, 481, 472e) (Antioxidants (307, 304, 330). QUARTER BUN: Wheat Flour (Vitamins (Thiamin, Folic Acid, Niacin, Iron, Riboflavin), Enzymes), Water, Sugar, Glaze (Contains Wheat), Canola Oil, Sesame Seeds, Iodised Salt, Natural Flavour, Wheat Gluten, Yeast, Emulsifier (471), Preservative (282), Bread Improver (Wheat Flour, Enzymes, Antioxidant (300)), Thickener (412), Antioxidant (300). 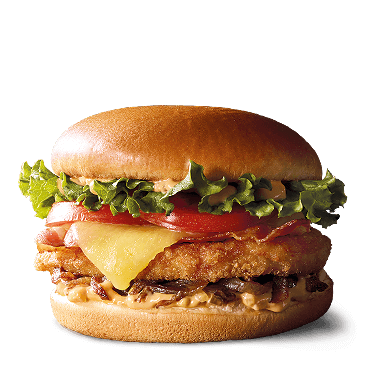 MAYONNAISE: Water, Soybean Oil (Antioxidant (330)), Egg Yolks, Modified Corn Starch (1401, 1442), Corn Syrup Solids, Distilled Vinegar, Salt, Sugar, Mustard Flour, Vegetable Gum (415), Food Acid (270), Preservative (202). Contains gluten, egg, soy & sesame seeds. Traces of sulphites in Chicken Patty. Note: McChicken patty is cooked in canola oil blend.